The mall is here to promote the sellers. Their store is run by them. The mall is here to help them. This buiness is run solely by the owners. We are the company. We are the buyers, do the advertizing, keep the books, make the shirts and other cloth items, and handle the costomer relations. 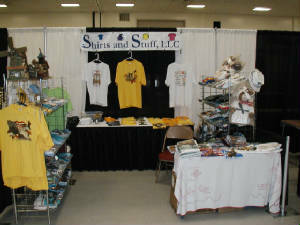 Shirts and Stuff,LLC has been in business since 2004.